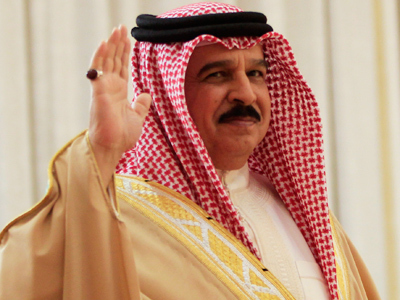 The King of Bahrain has thrown Buckingham Palace's Diamond Jubilee plans into crisis. He is to join other royals at the Queen's “Sovereign's Lunch” amid a brutal crackdown on protesters back home. His acceptance presents the British monarch with a political headache as human rights groups and some MPs prepare to voice their anger over her decision to extend an invitation to a figure referred to as a despot. 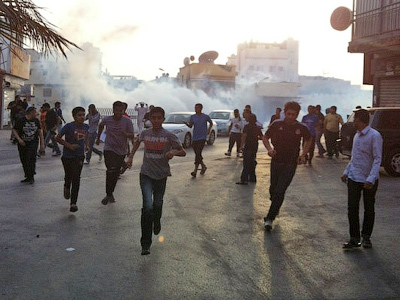 The ruler of Bahrain – Sheikh Hamad bin Isa Al-Khalifa – has been brutally suppressing pro-democracy protesters in Bahrain for more than a year. As a matter of royal protocol, the Queen was obliged to invite the king, along with other crowned heads from around the world. The king is also thought to have been invited to a champagne dinner to be hosted by the Prince of Wales at Buckingham Palace. Many hoped the Bahraini ruler would refuse the invitation in order to avoid causing the Queen embarrassment, however, sources have since confirmed his acceptance. 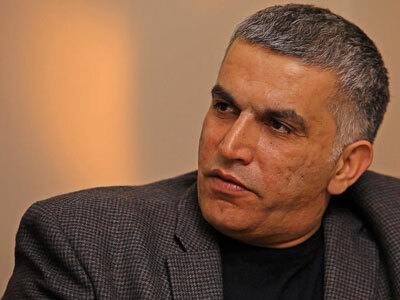 A report published in November last year by the Bahrain Independent Commission of Inquiry revealed that the Al-Khalifa regime systematically tortured protesters and committed human rights violations. Bahrain has seen more than 12 months of anti-government demonstrations on the streets, as the country’s Shia majority continues to try and overthrow the autocratic Sunni-ruling family, which has direct control of the police, army and security services. The island Gulf state has attracted international condemnation for its heavy-handed response to the civil unrest, which has involved firing tear gas and rubber bullets at civilians. Since February last year more than 50 Bahraini residents have been killed during clashes with police and the security forces, and thousands more arrested. Meanwhile, media reports say Britain sold more than 1 million pounds worth of rifles and military equipment to Bahrain over the past year. News of the acceptance of the invitation to the lunch to celebrate the British queen’s 60 years on the throne ahead of the main celebrations in June comes only weeks after Bahrain controversially hosted a Formula 1 Grand Prix. Organizers of the race came under pressure to cancel because of the regime’s bloody behavior, but the event went ahead regardless. Last year, when the King of Bahrain’s son, Prince Salman bin Hamad Al Khalifa, was invited to the Royal Wedding of Queen Elizabeth II’s grandson and second-in-line to the throne Prince William to Kate Middleton, there was a similarly large public outcry. Again, all crowned heads were invited as a matter of protocol, but the Crown Prince decided to pull out just days before the ceremony, after human rights activists threatened to protest throughout his stay.